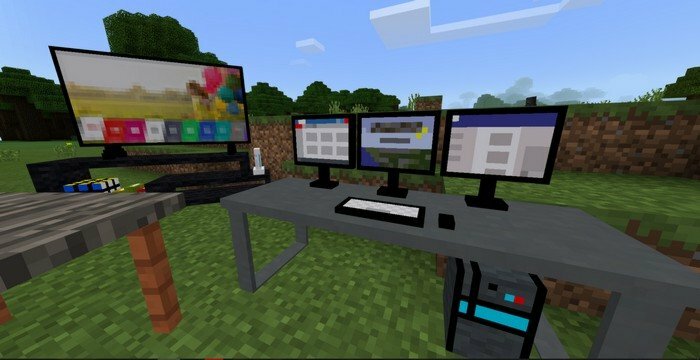 Decoration mod adds detailed models of furniture into MCPE that can be used to sit on. You can place furniture wherever you want, but some of it can be accidentally moved by the character when you step on it. 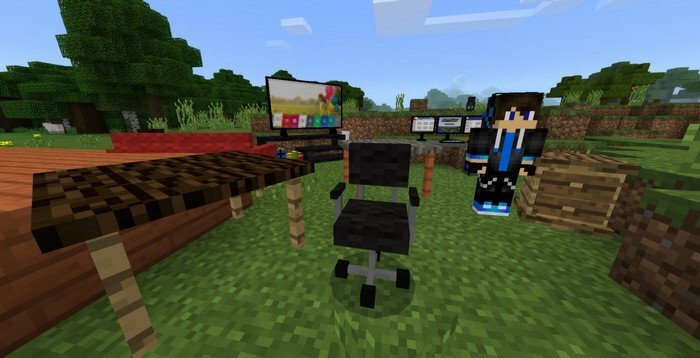 You will be able to sit on a couch and rotate it, but some items are not available for interaction. Decorate your living room with a cool TV set and watch your favorite shows. 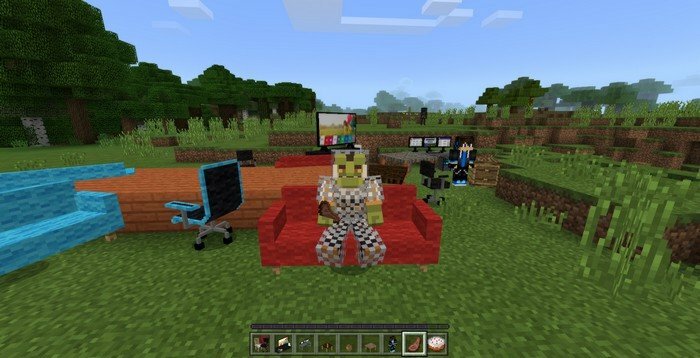 Some mobs have a rare chance of dropping the furniture. Move and rotate the decorations.